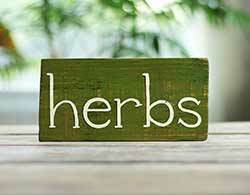 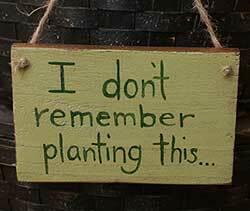 Garden themed signs and wall decor to give your home that country cottage decor look! 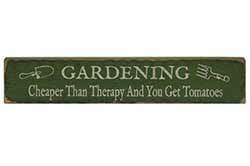 We have rustic hand painted signs in garden themes - flowers, gardening, herbs - plus an every-changing variety of wall decor, pictures, wall hooks. 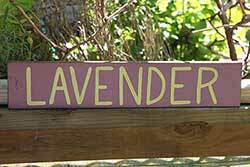 Some items are meant for indoors only for a garden decor theme, and some are OK outdoors or on your patio! 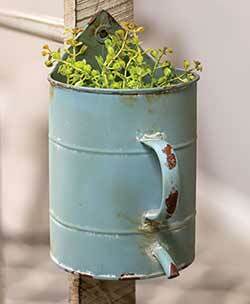 Perfect for a potted plant or faux floral, this distressed blue rusty metal container has a flat back and a pre-drilled hole for wall hanging. 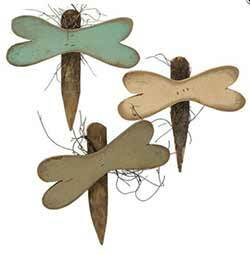 Perfect for vintage style spring or garden decorating, these wood ornaments feature whimsical antique reproduction seeds packets. 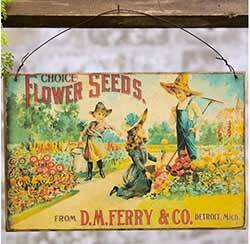 Perfect for vintage style spring or garden decorating, this wood sign features a antique reproduction flower seeds advertisement. 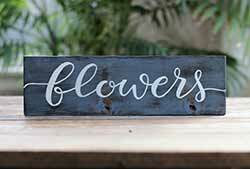 This "Flowers" sign adds a rustic primitive touch to your spring or garden decor! 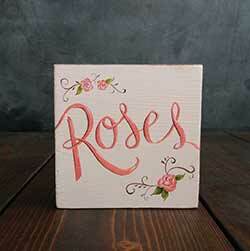 Available in 5 colors - Choose Pink (shown), Yellow, Ivory, Natural, or Blue. 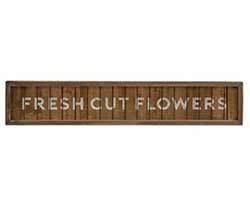 Made of stained wood slats and frame, this rustic sign adds a simple rustic touch and neutral look to your home. 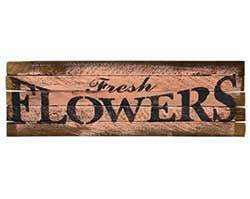 This one reads "Fresh Flowers." 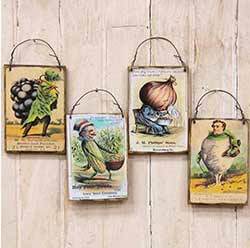 Add a spot of country charm to your wall or door for spring with this rustic frog, made of rustic wood, and painted sage green. 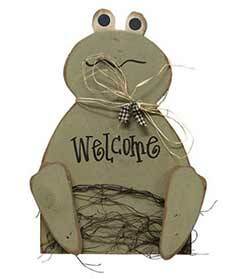 Reads "Welcome" on the front. 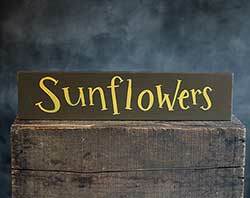 Made of stained wood slats and frame, this rustic sign adds a simple rustic touch and neutral look to your home. 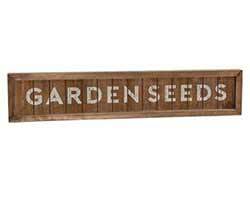 This one reads "Garden Seeds." 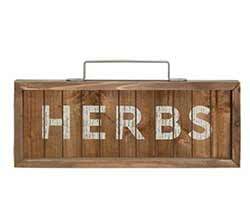 Decorate your wall or mantel with this rustic distressed wood sign, painted a fresh green color, with gardening tools design. 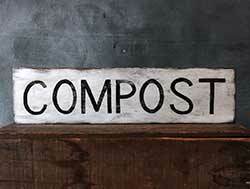 Made of stained wood slats and frame, this rustic sign adds a simple rustic touch and neutral look to your home. 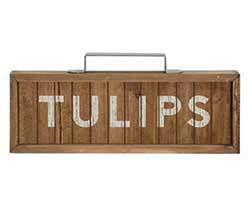 This one reads "Tulips." 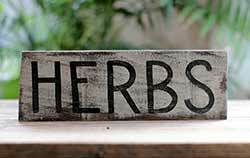 Decorate a shelf, desk, or mantel with this rustic distressed wood shelf sitter sign, painted a fresh spring green color. Engraved lettering reads: "Let Love Grow"
Decorate a shelf, desk, or mantel with this rustic distressed wood shelf sitter sign, painted a pastel pink color. 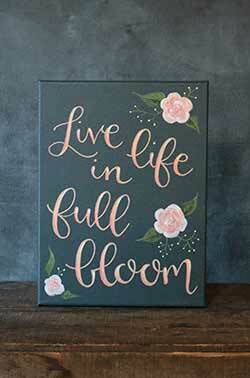 Engraved lettering reads: "Love in Full Bloom." 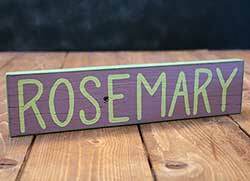 Decorate a shelf, desk, or mantel with this rustic distressed wood shelf sitter sign, painted a fresh spring green color. 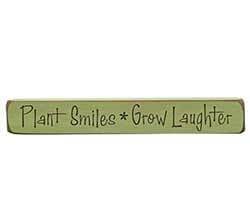 Engraved lettering reads: "Plant smiles, grow laughter." 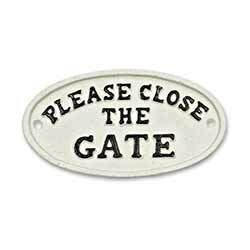 Painted with a white finish, this oval cast iron sign reads "Please close the gate." 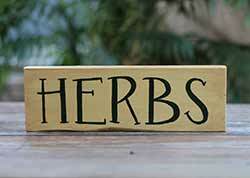 Made of stained wood slats and frame, this rustic sign adds a simple rustic touch and neutral look to your home. 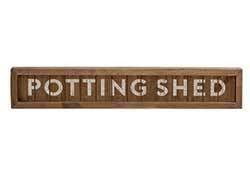 This one reads "Potting Shed." 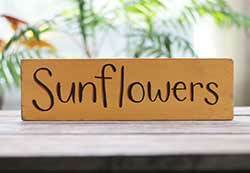 Made of stained wood slats and frame, this rustic sign adds a simple rustic touch and neutral look to your home. 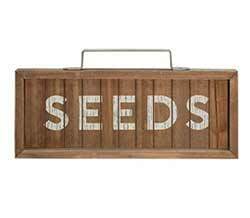 This one reads "Seeds."